I got a copy of this book from the author in exchange of an honest review. Oh boy… This was by far. The. Best. Book in the series. #TheZanderEffect was in full swing in this book. Zander Minelli has found his way back home to Pine Harbor after dedicating 20 years of his life to the army. In six months he’ll be out and needs to figure out what his future will be. What better place to do that than home sweet home. While on this two-week leave from the army, he meets the most delicious kind of woman, Ponytail Girl. She is beautiful, smart and has lots of questions on how to use deadly weapons and kill people. Fortunately for Zander, she also shares his love for apple pie. Faith Davidson is a widowed, single mother and a full-time author. She is ready to dip her feet back into the dating pool. Her only conditions: no tattoos and no bad boys. Only stable, boring men. While spending her time writing at the neighborhood diner, Greta’s, Faith encounters a tall, dark and handsome biker dude, who has her blood boiling and thinking dirty thoughts. He also happens to speak the language of weapons quite fluently, so she racks his brain for all the available knowledge. There’s just one catch. The hot as hell guy is the exact type of man Faith did not want; tattooed-bad boy. Except the attraction is strong and somehow they end up bumping into each other everywhere they go. Zander and Faith were such amazing characters. Both strong in their own rights. Though they had instant attraction, there’s was by no means an insta-love story. Their relationship developed over the two-weeks Zander was in town and then later, when he was away. I loved seeing the way in which Zoe York dealt with the long distance relationship. A long-distance relationship is not easy, and Ms. York made sure that she included the difficulties that come with it, rather than making it all hunky dory. She also didn’t make Faith and Zander’s relationship full of fights, which I must say is very well done. Faith was no meek woman, but after the death of husband in a skiing accident she has grown a lot more reserved and overprotective about her son Eric. She dulled her life, suppressed her desires, so that Eric wouldn’t have to grow up without either of his parents. She got a lot of help from her mother too. Faith, Eric and Faith’s mother shared a very good relationship. Her mother too is a widow and knows how Faith feels. Zander is indeed a tough, responsible guy. He loved his family, but the army is his life. He is in a dilemma when the book starts as to what to do with his life after his army stint comes to an end. But when Faith enters the picture, his priorities shift. He wants to stay with her and Eric, rather than being gone for months at a time. The six months they spent apart from each other while Zander was gone was difficult for both of them. The best thing about Zander was that he never took Faith for granted. He knew what her insecurities were, dealt with them in the best away possible. He never rubbished her fears, but rather coaxed her out in the open. 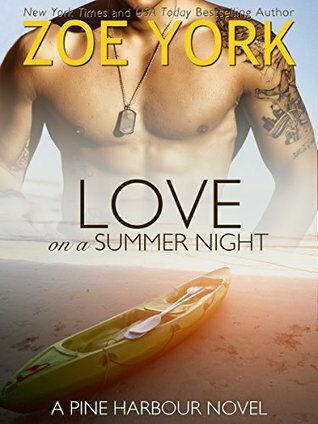 As expected from a typical Zoe York book, the chemistry was sizzling between Faith and Zander. They made a really good couple who shared a certain ease with each other. Every time they came together, sparks were flying. It was beautiful to see how caring Zander was towards Faith. He took care of the minutest details. He made her feel special and loved. while Zander and Faith’s relationship was amazing, what was even better was Zander and Eric’s relationship. Now that took the cake. That man was meant to be a father. #ZanderEffect. Oh man!! The way Zander dealt with Eric, such love and care, I doubt even his biological father would have been capable of that. Zander was friend, a mentor, a comrade, a father, everything humanly possible to Eric. And the relationship all three of them shared together, Faith, Eric and Zander, a perfect family. A special mention should also be given to Jake and Dani. They finally got married and man, oh man, their wedding vows…. I would be lying if I said that I didn’t shed a few tears. It was just PERFECT!! Everything about this book was just plain amazing. There was nothing wrong that I could find about this book. Since it was an ARC, there were a few typos, but even those were disregarded in favor of the awesome story-line and beautiful characters. I know that every time a new book by Zoe comes out, I say it’s my favorite, but THIS BOOKS WAS PERFECT! This was absolutely mesmerizing in the beauty of the relationships depicted and the story touched my heart. I’m crossing my fingers that the next book in the series, which is Dean’s book was will as amazing as this, if not better. 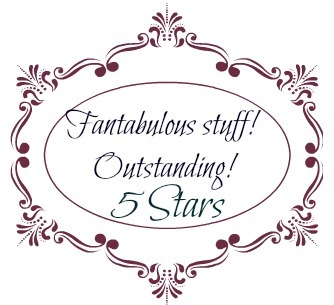 This review also appears on Gemstreet Reviews.